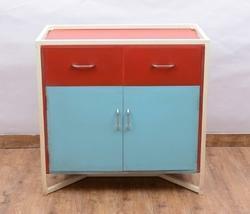 Prominent & Leading Manufacturer from Jaipur, we offer wooden storage cabinet, wooden modern bar cabinet, wood iron side table storage cabinet, natural fibers wooden seating table with seated cushions, solid wood indoor bench table with removable iron legs and solid wood console table with seating cushion. 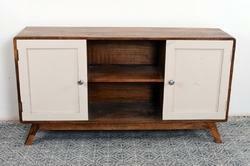 This wooden side storage cabinet gives designer look to your living room decoration. 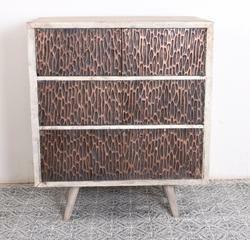 Wooden storage cabinet by Natural Fibres. These are modern touch mango wood cabinet. 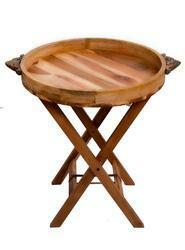 Natural Fibres Wooden Iron Side Table & Storage. Give Promosing look to your room interior. Natural Fibres Wooden Table With Seated Cushions. 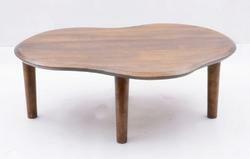 This wooden table is perfect addition for your living room decor and avilable with seating cushion. 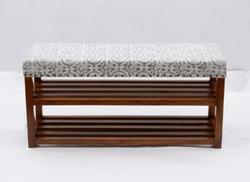 Acacia wood solid bench with iron leg. This wooden leg gives perfect design look to any interior. Natural Fibres Wooden Side Console Table with Racks and Storage. Give charming look to your room decor. Natural Fibres Wooden Shoe Rack With Seating Cushion. 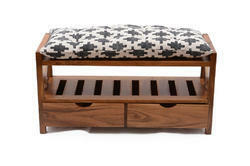 This wooden shoe rack is natural finish with cotton printed rug made cushion seating option. 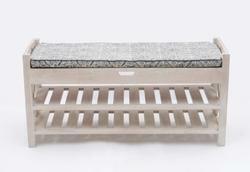 Natural fibres solid wood shoe rack table with white wash finish. size and design can be customized. This wooden side table made on jaipur furniture theme. Give your living room amazing look with this white wash wooden side table. 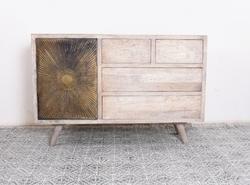 Decorative wooden side cabinet for your living room decor. 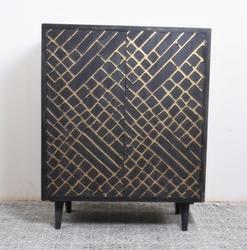 This wooden side cabinet finish in black and golden. 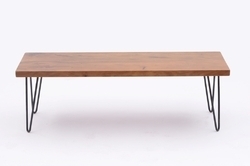 Handmade mango wood natural finish coffee table for your dining room. 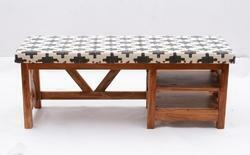 Give amazing look to your dining furniture. 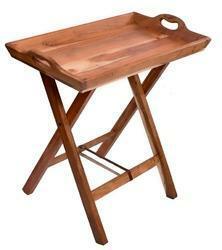 Your perfect serving partner butler tray with folding tray. Give your tableware classic look with this serving butler tray. 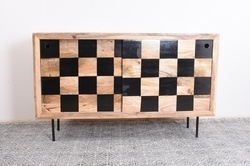 Wooden checkered stoage cabinet for your living room decoration.